Swami Sudhir is the founder of Shiva Yoga Peeth. He was born in Orissa, a Eastern state of India. In his early childhood he met with a lot of great saints and learned from them about yoga. After his graduation he left his home and traveled all over India in search of God and a deeper spirituality. He settled at Neelkanth Mahadav Temple in Rishikesh for three years where he worked as a priest and continued his Sadhana. 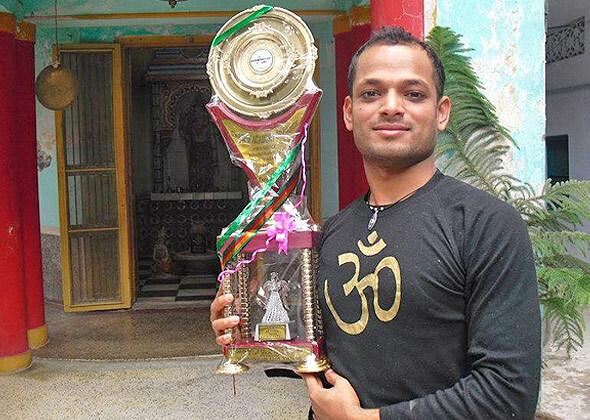 After helping at the temple and gaining knowledge from them, he moved on to Varanasi for five years where he studied the paths of yoga more deeply and earned a Yoga Diploma from the Varanasi Hindu University. He then decided to spend some time in the jungles for deeper Sadhana. Once his Sadhana was achieved he went on to gain his Yoga Master from the world famous Kaivalyadham Institute, a pioneer in yoga training. He then continued at the Institute as a yoga teacher and has been teaching and spreading the knowledge of yoga all over India ever since leaving. His aim is spread yoga and spirituality, health and harmony, love, peace and stress free living all over the world. Yogi Sidharth, was born in Eastern India in 1988. Before leaving his profession to follow the spiritual path, Sidharth was a recent graduate working in telecommunications. In 2008, he began practicing and perfecting various styles of hatha yoga, such as Sivananda, Iyenger and Ashtanga, digesting and assimilating the strengths and benefits of each. In 2010, Sidharth completed both 200 and 300 hour yoga teacher training courses, becoming a traditional hatha yoga instructor. In 2012, he traveled south to Mysore, India, to become a certified ashtanga yoga instructor and in the same year Sidharth began managing and teaching at Shiva Yoga Peeth, Rishikesh, India. Sidharth recently competed against 250 contesters in “Rishikesh Got Talent,” winning the title and was chosen as a contestant for “India got talent.” Sidharth is full of power & spirit, and as an instructor, he is exceptional in correct alignment, clear communication, thorough explanation, and proper demonstration with mindful attention to each students needs. Swami Biswamvhar was born in Orrisa, located in Eastern India. He serves as the elected president of Shiva Yoga Peeth. He left home when he was young to search for god. 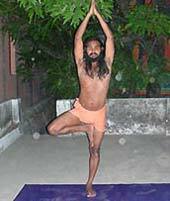 He has been practicing Hatha and Ashtanga yoga since he was a child and has learned from many gurus. He has studied Gita, Ramayan, Bhagabad Gita, Upnisad, Vedas, Vedantas and Patanjali yoga sutras. His aim is to spread the knowledge of yoga all over the world. Dr. Latika Verma was born on February 13, 1978 in Jalandhar, India and graduated from Dayanand Ayurvedic college in 2003 from her studies in Ayurvedic medicine and surgery. She has a vast experience in Ayurvedic medicine and now teaches Anatomy and Physiology of the Human Body at Shiva Yoga Peeth. As Yogic practices are slightly based on Ayurveda, she is an ideal person for teaching the importance of Anatomy in Yoga. 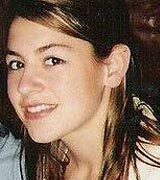 She is meditation instructor, visual and performing artist from Louisiana, USA. 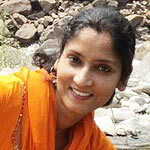 Shakti has studied in Rishikesh, India, as well as California, Oregon and Montana, USA. She has completed two 200 hour yoga teacher trainings in hatha and tantra yoga, as well as a 300 hour training in yoga therapy. Shakti has also graduated from a two-year extensive training in prescribed asana, yoga philosophy and she now teaches the six lessons of sahaja meditation as a guest instructor at Shiva Yoga Peeth. Shashi Kant Dixit was born in a traditional Brahamna Family in north India and was sent to Gurukula at the age of 4 where he learnt about Vedic texts,Upanishads,shad darshans,yoga vashishtha.shrimadbhagwadgeeta and great Indian classics.Inspired by his quest of learning more deeply he settled at Bapu Ashram in Pune where he practiced Naturopathy and Yoga Science .He finished his masters under the guidance of Padamshri H.R.Nagendraji from SVYASA UNIVERSITY Bengaluru. He has been teaching Yoga Philosophy,yoga therapy Meditation, Pranayama and Shat Karma to various students across the world. Jagjeet has in-depth knowledge and has been practicing yoga therapy, Marma therapy, alternative therapy, yoga philosophy, pranayama and Mudra bandhs. It’s been more than 16 years now, that he has been practicing Yog and Asanas. He grew up learning yog vidhyas and ancient practices to heal people. he learnt different therapies which include Yoga and other alternative therapies while pursuing his University studies. After completion of which, Yogi Jagjeet decided to go for Sadhna in Himalayas, all by himself, for couple of years. Along his journey he came across ancient yogis and sadhus of Himalayas who taught him various sadhna techniques. to spread and share his bundle of knowledge and information with people to serve mankind. he believes in the theory of helping by healing others.